Every time I go home, I remember why I left. Just kidding. I love my family. They are very cool. 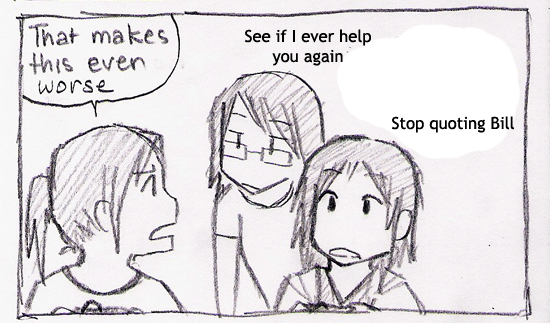 Uh, but this sort of things defines the interactions I have with my sisters. Messed up, huh? It’s been a few weeks since I last updated. Now look, my drawing is all shaky. It’s gonna take a while to get back into it again! But it’s summer break, so plenty of comics are going to be coming. Also, if you look carefully at the comic title, you can see that I erased “My Spring Break” and wrote over it. I’m tired.